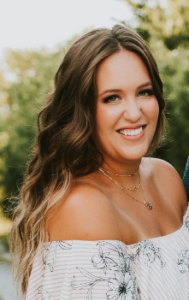 Kelsie Pilkington joins iMiller Public Relations having helped clients meet their various business goals for the past several years. In her most recent role at Online Marketing Giant, Kelsie worked with several high-profile clients to educate and advise them on recommended marketing initiatives as well as kept them up to date on new developments and marketing opportunities in their niche. Kelsie holds a Bachelor of Science degree in Public Relations as well as a minor in Creative Writing from Missouri State University. She enjoys the beach, binging on Netflix series, and spending time with her two boys, husband and boxer Finley.